Are you considering the Dominican Republic to spend your next vacation? 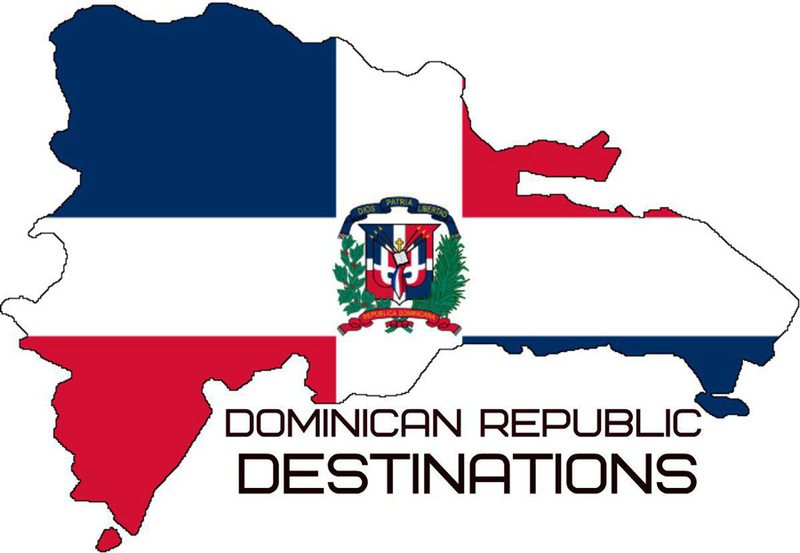 Then, it will be useful for you to learn about the main Dominican Republic destinations. We will tell you about the Dominican Republic resorts. We will provide the necessary information about the key tourist destinations so you can decide where you want to go. Well, there’s hardly anyone who hasn’t heard of Punta Cana. This is the most famous of all the Dominican Republic destinations thanks to the beautiful beaches and a large number of five-star hotels. Located on the southeastern coast of the Dominican Republic, Punta Cana offers summer all year round and a great beach holiday. Of course, here are the most picturesque beaches with white sand and crystal clear azure water of the Atlantic ocean. Famous all inclusive hotels, the most luxurious villas and beach apartments will cater to every taste. It is never boring because you can always find something to do. For example, go on a private yacht, ride a zip line, try snorkeling, book spa treatments or make a memorable photo session on the beach. Santo Domingo is the capital of the Dominican Republic. This city is located in the South of the country and is its political, economic and cultural center. It is a real Caribbean metropolis with a rich historical heritage. The city was founded by Europeans and is considered to be their first permanent settlement in the New World. The old colonial city is the reason why tourists come from all coastal hotels, despite the distance. Moreover, we highly recommend to book Santo Domingo city tour. You will see all the main sights of the Old City, including Alcázar de Colón, Fortaleza Ozama, Catedral de Santa María la Menor, and others. Surely, it is one of the must-visit Dominican Republic destinations! Come and enjoy great historical experience. 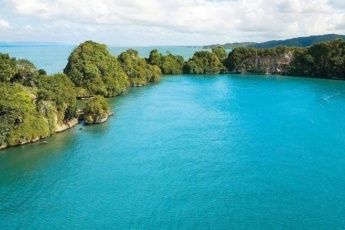 Samana is not just a resort, but a whole peninsula, one of the most picturesque Dominican Republic destinations. The Peninsula is located in the north-eastern part of the country. It is washed by the Atlantic ocean. Here you can discover untouched nature with coconut groves, rivers, waterfalls and caves, as well as deserted beaches. 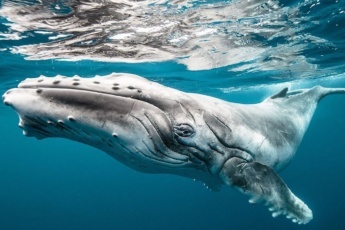 You can see dolphins and manatees, and even whales. In the nearby Los Haitises national park you can see amazing landscapes and learn about the region. 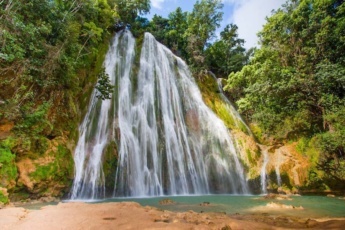 The main attraction of Samana is the 30-meter waterfall El Limon. 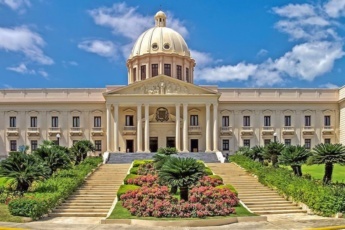 The province of La Romana is located in the South-East of the Dominican Republic, 110 km from its capital Santo Domingo. The resort is located on the Caribbean coast. 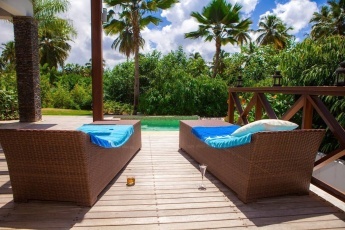 Now La Romana is one of the most luxurious Dominican Republic destinations. For example, many world celebrities, actors and singers such as Beyoncé, Jay Z, Pitbull, P. Diddy, Cameron Diaz choose the resort of Casa de Campo, located in the province of La Romana. Clean beaches with white sand, crystal clear blue water ensure an unforgettable beach holiday. The resort called Puerto Plata is located in the North of the Dominican Republic, on the Atlantic coast. It is different from the popular and crowded Punta Cana. Puerto Plata is worth choosing if you do not like crowds, are not interested in night life and just want a quiet beach holiday. There are several resorts in Puerto Plata – Sosua, Cabarete and Playa Dorado. There are gorgeous sandy beaches, but it is not the only reason to come. Compared to the southern coast, there are steeper waves. 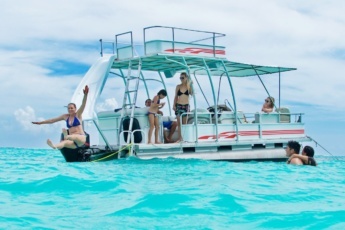 They create great conditions for an active holiday and water sports. This is an amazing place for surfers. 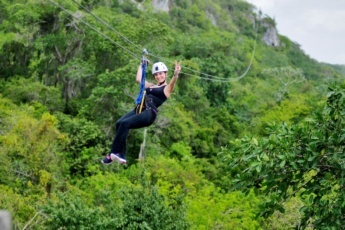 To conclude, whatever Dominican Republic destinations you choose, of course, you will love the country. This is a completely unique place, created to delight tourists with amazing tropical landscapes. Come for a wonderful vacation experience!